Ruddick Garden Gifts offers you this ever popular decoration for your home or garden. 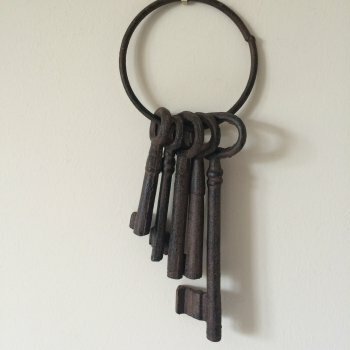 Made from cast iron this small set of five plain keys on a ring have an antique finish to them. This would make an unusual house warming gift.